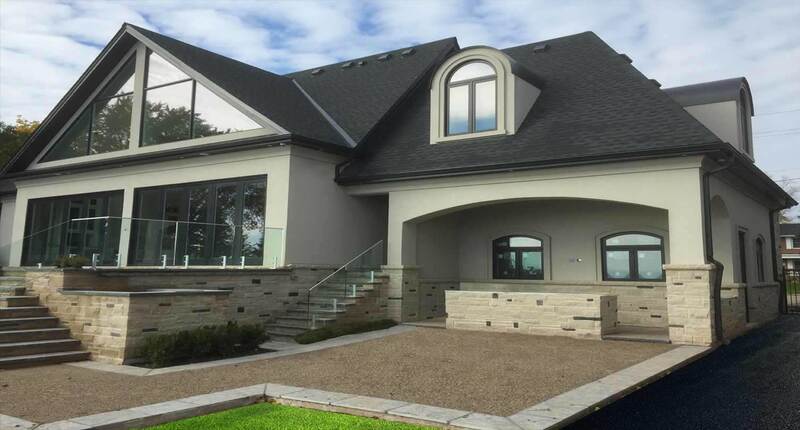 At Gostucco we aim to deliver the highest quality of services and materials. We are committed to our clients and to creating the best possible outcomes for both residential and commercial buildings. We do all of this while upholding the highest level of professionalism, safety and ethics. We take the time to get to know our clients, build trusting relationships and deliver the highest quality and beauty that stucco has to offer. 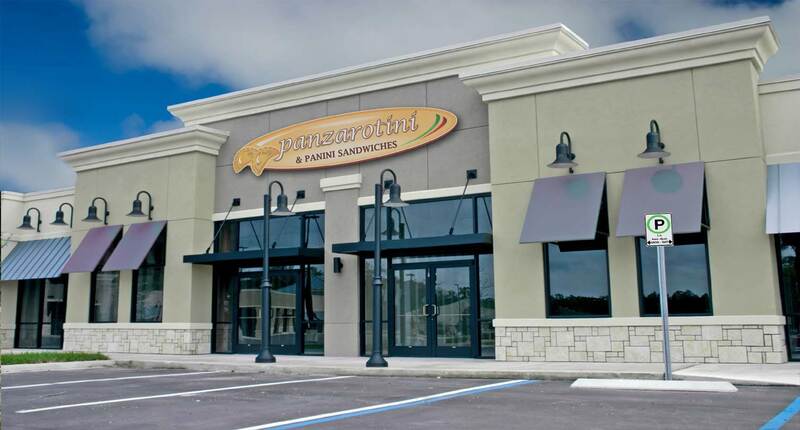 GoStucco is a company that was founded by two individuals with a passion for creating beautiful residential and commercial projects using stucco. Our company has been founded on 15 years of experience, hard work and dedication to customer satisfaction. We service all of GTA and surrounding areas. We have worked very hard to build a reputation known for being reliable, dependable and very professional. 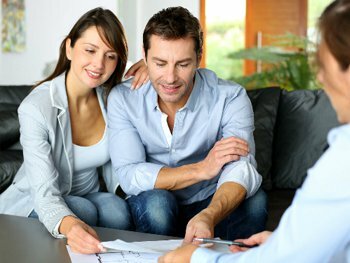 We take the time to get to know our clients and build trusting relationships which result in having pleased customers and their expectations met. We provide stucco application using the highest standards of application, materials and safety. Our company takes care of all aspects of the stucco process from start to finish. Our knowledge and experience allow us to take on any stucco project whether it be simple or difficult. GoStucco is ready to work with you. Moldings are a decorative additive that enhances the visual appearance of stucco along with hiding and sealing natural joints which are found in the framing process of a building or structure. At Go stucco, we use the highest quality of moldings and have mastered a system in which the application of moldings creates a clean and flawless finish. We also specialize and have mastered a system in repairing stucco. 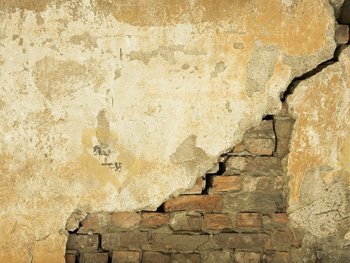 We repair cracks or damages in stucco in a fast and efficient manner. We offer repairs along with restoration if you are looking to restore and revamp. We provide all repair and restoration services with competitive prices. Stucco has been used throughout history and time as both a sculptural and artistic material. EFIC Stucco is low-cost, strong and very durable. It is very versatile making it ideal for both commercial and residential houses. 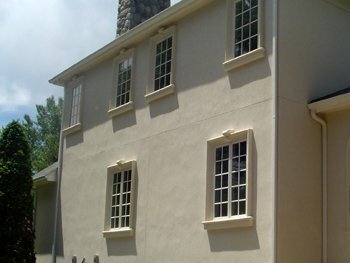 Stucco can be applied to a variety of materials such as concrete, concrete masonry, brick, wood or steel. It is also fire resistant, color retentive and provides the best possible insulation. Stucco provides excellent energy efficiency along with reducing moisture saturation. Stucco is one way in which homeowners can save energy, which is very important in today's times. Stucco compared to brick and concrete is designed to withstand Canada's four seasons and changing the climate. This results in a system that does not crack or look damaged. Along with the endless benefits and visual appeal, stucco is also affordable and entitles no maintenance. Stucco comes in a variety of options including many colors, textures and beautiful detailing. The possibilities with stucco are endless. Go stucco takes care of the stucco process from start to finish while conforming to all safety and CCMC standards. You can rely on many years of experience of our team to help you design and develop the exterior you always wished for. We can help you avoid common mistakes and enhance your project while optimizing the design and reducing the cost. It is used as a decorative coating for walls and ceilings, and as a sculptural and artistic material in architecture. Stucco may be used to cover less visually appealing construction materials, such as metal, concrete, cinder block, or clay brick and adobe. Use of mouldings further enhances the look of the house and raises the standards of the building, giving it a more sophisticated look as the complexity and creativity raise the bar for the completed project. These processes help you maintain and retain the great look of your house or to restore an older one to its former glory while raising the value of the building. Q ) What is stucco? A ) Stucco has been used throughout history and time as both a sculptural and artistic material. EFIC Stucco is low-cost, strong and very durable. It is very versatile making it ideal for both commercial and residential houses. Stucco can be applied to a variety of materials such as concrete, concrete masonry, brick, wood or steel. It is also fire resistant, color retentive and provides the best possible insulation. Stucco provides excellent energy efficiency along with reducing moisture saturation. Stucco is one way in which homeowners can save energy, which is very important in today's times. Stucco compared to brick and concrete is designed to withstand Canada's four seasons and changing the climate. This results in a system that does not crack or look damaged. Along with the endless benefits and visual appeal, stucco is also affordable and entitles no maintenance. Stucco comes in a variety of options including many colors, textures and beautiful detailing. The possibilities with stucco are endless. Go stucco takes care of the stucco process from start to finish while conforming to all safety and CCMC standards. Q ) What is a molding? A ) Moldings are a decorative additive that enhances the visual appearance of stucco along with hiding and sealing natural joints which are found in the framing process of a building or structure. 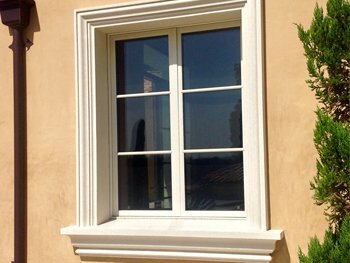 At Go stucco, we use the highest quality of moldings and have mastered a system in which the application of moldings creates a clean and flawless finish.